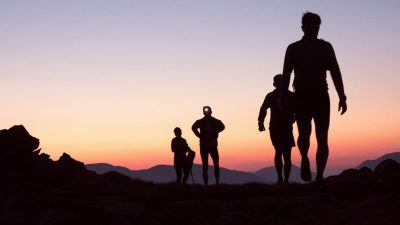 From a half-day guided run exploring the most beautiful trails in the English Lake District to a fully supported 24-hour Bob Graham or Charlie Ramsay Round, our guided running experiences can be as chilled-out or extreme as you want them to be. We take care of the route planning and navigation: just bring your sense of adventure, and we’ll do the rest. 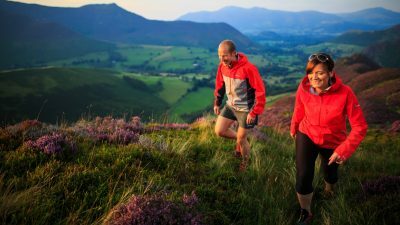 Whether you’re looking for a first taste of mountain running; a guided tour of Cumbria’s most extreme ridges; or support for an attempt at a classic ‘Round’ – Bob Graham or Charlie Ramsay – you’ve come to the right place. We’ve done it before and we’d love to share our experience with you. 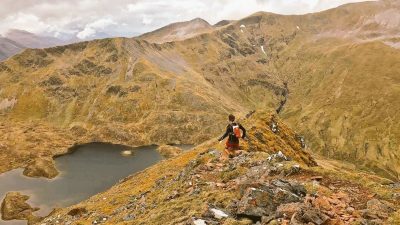 We’ve been running, walking, climbing and scrambling all our lives, and our team of running guides have an eye watering array of mountain leader qualifications, mountain marathon medals, Bob Graham and Charlie Ramsay Rounds under their belts. Wherever you run with us, you can rest assured that you’re in safe hands. From a half-day on the trails to a multi-day adventure, we’ve got options to suit every level of fitness and experience. 56 miles. 24 summits. 8,600m ascent. 24 hours to finish. Charlie Ramsay’s classic Scottish round is not for the fainthearted. Have you got what it takes?